It can be a WordPress blog on your own domain or a minisite with a squeeze page on it or a full-on content site with hundreds of articles – it doesn’t matter which one. I’m going to buy a dot info domain – because I believe in them. Also, this is random and funny to see through a non marketer’s eye, but I asked several of my non-marketing friends about domain extensions. All of them said they’d consider it an information website - an authority site. They wouldn’t expect to see a sales letter there (consumers avoid sites they think will do nothing but sell to them if they’re just searching for information). They would expect to find valuable information there that’s not biased. So let’s think about that, then. If you, as an affiliate, have a dot info domain and you construct it PROPERLY with good information so that when they land, they see value and get freebies (via an opt in), they’re going to have a good first impression of your site. I go to Namecheap, where I like to buy my dot info domains for $0.89 a pop, and I open up my previously downloaded keyword list for dog training and I try to see what domain I can buy with the largest volume of keyword searches and the smallest number of competitors. But a lot of it has to do with common sense and gut instinct. Good thing about Namecheap is that you get a free "whois guard". I decide, after looking at a bunch of keyword results, that I’d like to go with dog-training-book.info because after I discovered that the plural version was taken already, I did another keyword search for “dog training books” and found that the singular version was also good in search volume. I also went to Google to type the keyword phrase in with quotes and see how many competing pages there were. So for $1.07 (including taxes), I bought the domain www.dog-training-book.info. Now I want to put a blog on that domain. You can do your site however you like – but I know that Google likes blogs that have regular content posted to them, and I think it’s personally easier than managing static web pages. 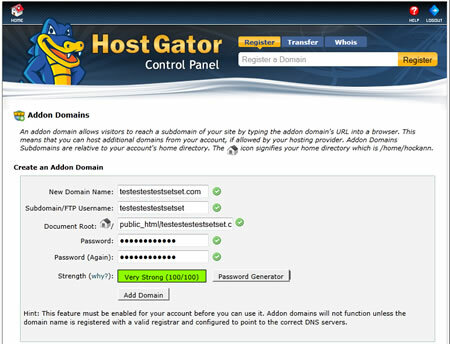 To show you how to upload the blog, we’re going to use Hostgator. On your dashboard, you’ll see your Nameservers listed on the left sidebar of the dash. You’ll need to go back into Namecheap (or wherever you purchased your domain), and switch the Nameservers so that they reflect your hosting account. Within Hostgator, first we want to add the domain to the hosting account. Click the Addon Domains button first. Type in your domain info and the other data will auto-fill for you. Create a password for the domain and click Add Domain at the bottom. On the left sidebar, you’ll want to click the WordPress link under the Blogs section. It will take you to a screen where you can then click new Installation. The next screen is where you’ll fill in all of your site admin details. Now if you want the main site to be where the blog is hosted, as I do, then you leave the spot blank where it says, “Install in directory.” However, maybe you want to put an opt in squeeze page on the home page – if that’s the case, then you might want to put the word blog in that space, so that the blog’s URL will be located at dog-training-book.info/blog which is how many people do it. You see the blog title, the first post (Hello world! ), a comment waiting in that post, an About Us page, and a blogroll of links. We’re going to make this look better for our niche marketing pursuits. Now if you buy PLR that includes graphics, then you may be able to upload the theme here and go with that. Since I like to keep things cost effective, I’m going to hunt down a free dog theme. I conduct a search on Google and discover this site that has many free WordPress themes: http://www.freewpthemes.net - and I find a great dog theme to download. 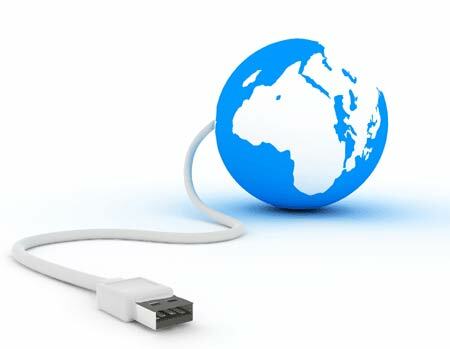 Download the zip file by right clicking on it and save it to your desktop. Then unzip the file – you’re going to be uploading the theme to your hosting account so that you can activate it on your new blog. You want to upload the entire contents of that folder in your directory. I like to use CuteFTP to just drag the entire folder over, but you may use another FTP tool or even do it manually. You want to put your theme folder in the wp-content file, inside the themes folder. Now when I go into my Hostgator account and click on dog-training-book.info inside the wp-content file and themes folder, I will see the folder I just uploaded, which in this case is called bestfriends. To activate it, you need to log into the dashboard of your blog. 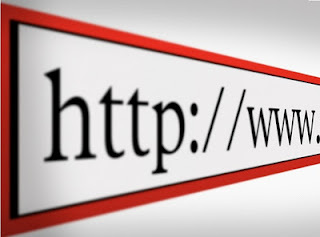 Remember that URL the system told you to bookmark whenever you inserted a blog on the domain? Go to that and sign in. That looks a lot more professional, doesn’t it? Normally, I might take a lot more time to find the right color scheme I preferred, etc. But for our sample I won’t. And you can always buy a theme or find another one that you like better and change it easily. Let’s set up our blog now, working our way up from the bottom of the dashboard. Click on Settings à Permalinks. Choose Custom Structure and type this into the blank space: /%postname%.html – what this does is allow the URLs to include your keyword phrases, and this helps you get found in the search engines. Click Save Changes. Go to Plugins and you’ll see Akismet. Click Activate. You have to know what your WordPress AKI key is for that. This plugin helps keep spam at bay. Now I want you to skip up to where it says Comments and click that – delete the comment that’s in there. Then click the Links button and delete all of those links. Go to the Posts section and delete the first post. Now you’re working with a clean slate, so I want you to work with your widgets. This is where you’ll need to grab some affiliate product items and links, so open a new window or tab to work with those. On the right of your blog is an empty sidebar. You’re going to fill that. Now remember we’re not going to add AdSense to this blog because we want each clickout to be to a higher paying affiliate product. I go to ClickBank and in the marketplace, type in “dog training” and order by Gravity. I find a great sales page for a product that pays out $30.71. I grab a hyperlink for that and now I’m going to put a picture of the ecover in the sidebar so that it’s hyperlinked with my ClickBank URL. I normally don’t bother cloaking links unless it’s within the Internet marketing niche, because the average consumer knows nothing about stealing commissions. The image of the eBook will now be in the sidebar and it will be hyperlinked to the product. Make sure you always click through and go to the order button so that you can see if your ClickBank ID is at the very bottom of the order form. It should say, [affiliate=YourID]. If it doesn’t, you won’t get credit! Under that widget, add a Links widget. Here, you can showcase all of the links you’re about to put in your blogroll. We can use text hyperlinks instead of hyperlinked images and list many products found on ClickBank and PayDotCom. You can go ahead and add a few other widgets if you want to – I’ve added a search box, recent comments (for social proof), archives, pages and posts. Now it’s time to go to the Links section on your blog. You can go through ClickBank and PayDotCom and even use search results pages on Amazon to create links to pages your visitors may find useful. Click Add New on this page. Then fill out the form – it will ask for a title, the web URL, and a hover description if you want to give it. Make sure you choose to have the page open in a new window, so that they don’t have to leave your site. So now my sidebar also has a whole list of ClickBank links and I haven’t even made a dent in how many are on there. Alright we are ready to begin populating this blog with some content! Are you the do it yourself type or do you prefer to load a blog up with content written by others?